Kentucky Mortgages Rates for FHA, VA, USDA, Conventional, Jumbo Mortgage Loans. via Kentucky Mortgages Rates for FHA, VA, USDA, Conventional, Jumbo Mortgage Loans. Where Will Interest Rates Go in 2012? Where Will Interest Rates Go in 2012?. Assumptions include a 640 or higher credit score for FHA, USDA, KHC, and 620 credit scoresfor a VA loan. A loan amount of $100,000.00 is assumed and a 30 day lock required. A 720 credit score or higher is assumed for Conventional Rate Mortgage loan rates and a loan amount of $100,000.00. The loan to value for Conventional loans are assumed at 80% ltv or less. Key Financial Mortgage of KY is a licensed mortgage broker in the state of Kentucky (NMLS#1800). 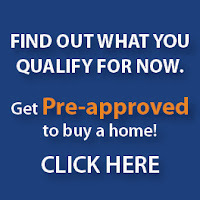 Key Financial Mortgage of KY is not a part of, nor are we affiliated with, the VA, FHA/HUD, USDA. These entities are a government agencies, not a lender. These Government agencies simply insure the mortgages; they do not loan the money. Joel Lobb (NMLS#57916) is a licensed loan officer in the state of Kentucky.